A few years back, when we were up visiting my brother and his family, Dave and Jason decided they needed to build a couple of potato canons. They spent the morning viewing how-to videos, as well as examples of various different potato canon models, on YouTube then headed over to Home Depot to buy their supplies. 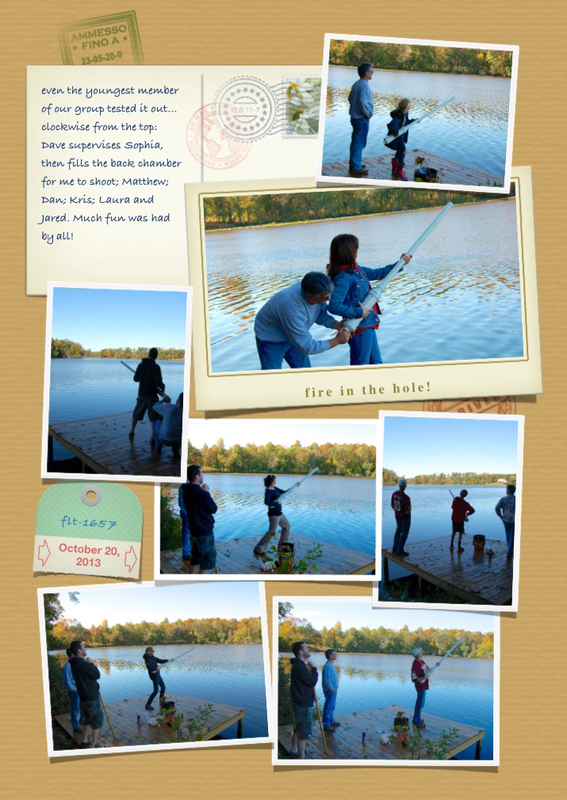 By late afternoon each family had their own potato canon and we all went out onto their back deck to test them out. None of us had anticipated just how loud or how far they would shoot! Fortunately, we didn’t take out any windows on the other side of the neighborhood. As far as we know. We were hooked from that point on and the firing-of-the-potato-canon has become a tradition at all important family events forever after. Somehow however, we’ve continuously forgotten to bring it with us every time we’ve gone down to the lake… until this past weekend that is. Somehow it doesn’t sound nearly as loud when you shoot it in a wide open space as when we have shot it at home! Our fun was cut short when one of the neighbors came out to go fishing. No worries though, we had all had a few chances to see how far across the lake we could shoot, so we packed up the potato canon and ammo and headed up to Waffles Ridge to make Hobo Pies. We discovered these single serve wine bottles at the Valero gas station/fas-mart on the way to the lake and decided we must try them! nice work with the .22, Jared! After everyone had had their fill of shooting targets, we went back over to the lake for bit. Having had several hours of fun, it was now time to pack up and head out. 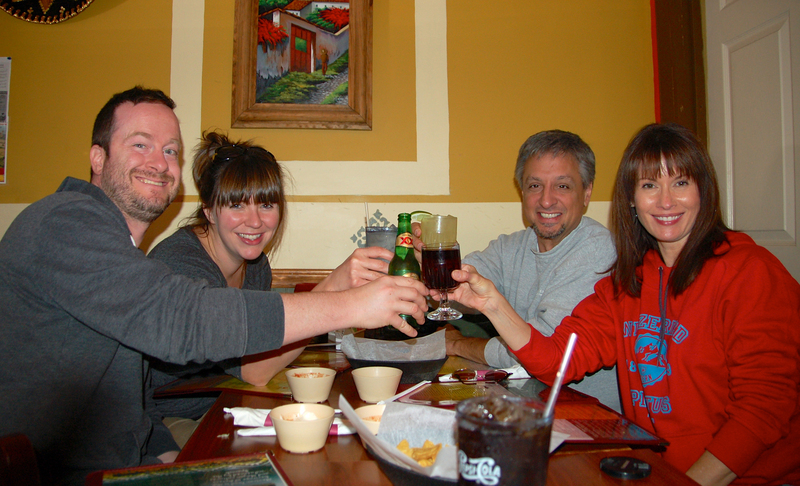 Although we had to say goodbye to the Clarke family, Laura and Jared decided to join us for a late lunch on our way out at our favorite Mexican restaurant, El Caporal. One more stop before heading home. We had yet to buy our fall pumpkins and the farmers market just happened to be right next to El Caporal…. After finding three practically perfect pumpkins, we headed back home, having had another fun-filled day and created many more lasting memories of perfect days spent at the coleman cabin. Okay, so technically we don’t actually have the completed cabin yet, but still….